I love the holiday season! 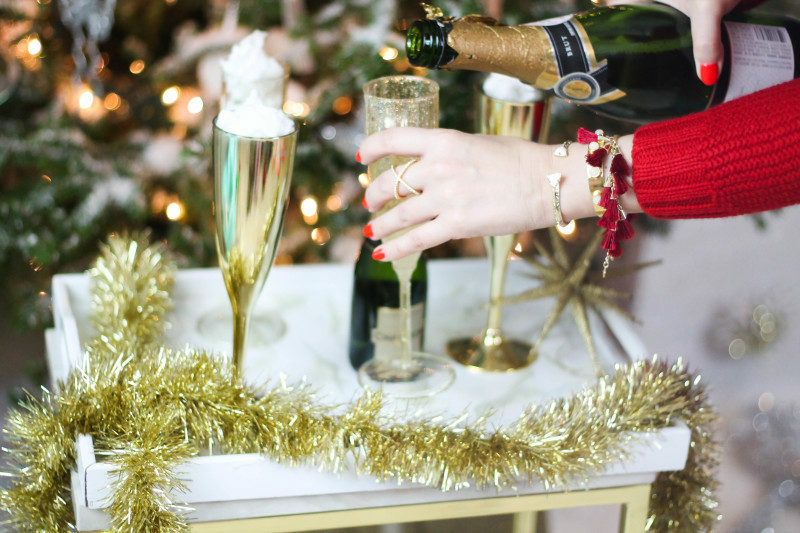 Cozy sweaters, roaring fires, yummy hot cocoa, everything is so festive! 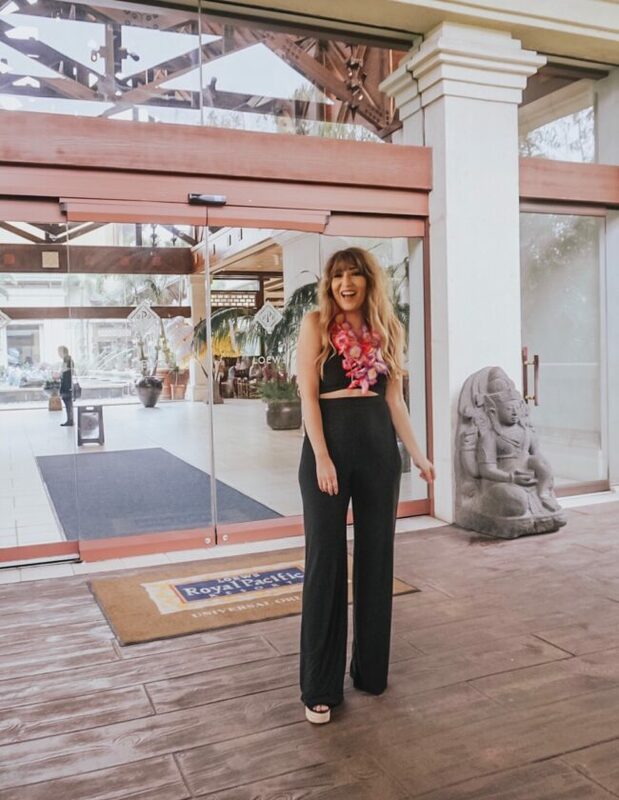 There are also so many fun activities going on, from Ugly Sweater parties, to cookie decorating extravaganzas, girlfriends’ gift exchanges… every weekend brings a different activity. I love having the excuse to gather my nearest and dearest and just enjoy the season. (Plus, with the exception of Baby, It’s Cold Outside I LOVE Christmas music! Any excuse to play a classic Christmas playlist!) The first thing any good get together needs is a signature cocktail. 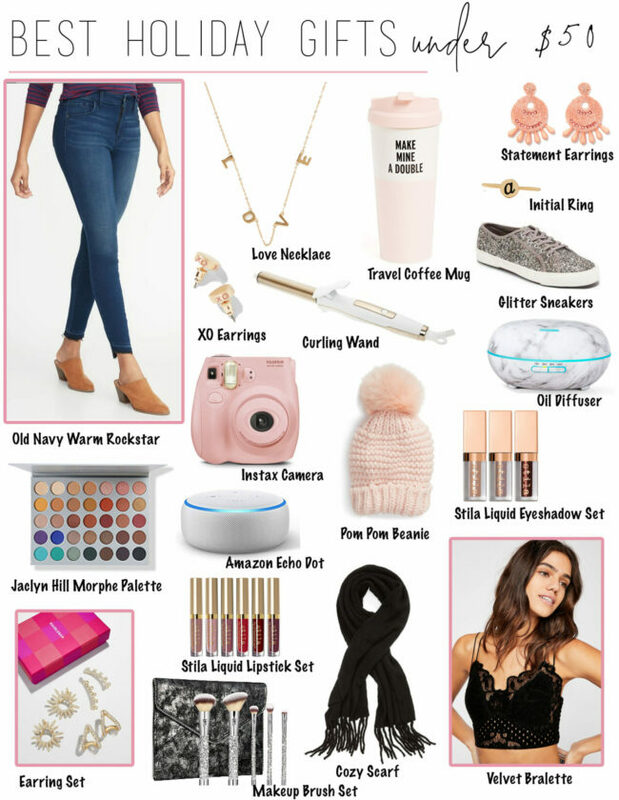 I love having cotton candy champagne cocktails- they’re super easy, cute, and taste DELICIOUS. All you have to do is buy some cotton candy, (I picked up this Vanilla Snow Cotton Candy at Dollar Tree, believe it or not!) and fill an empty champagne glass with it. 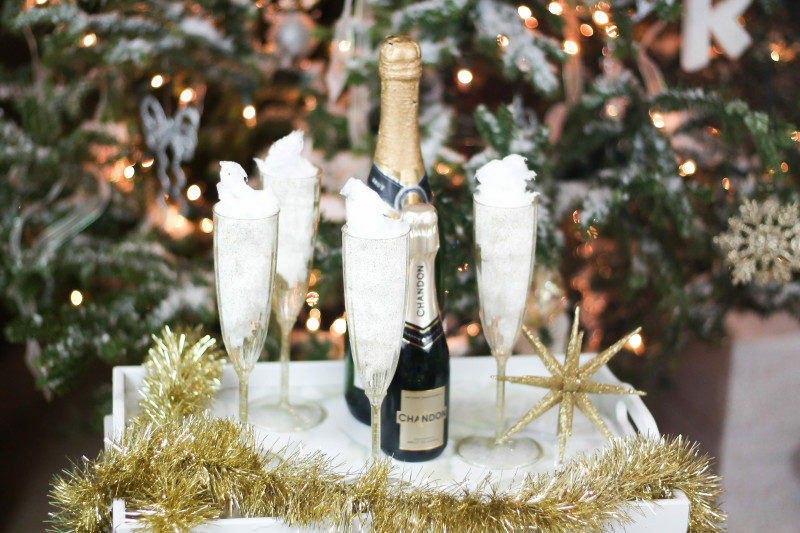 Don’t pour the champagne over it until you’re ready to serve- it’ll dissolve immediately! Voila- you have an easy and chic cocktail to serve at your next party. 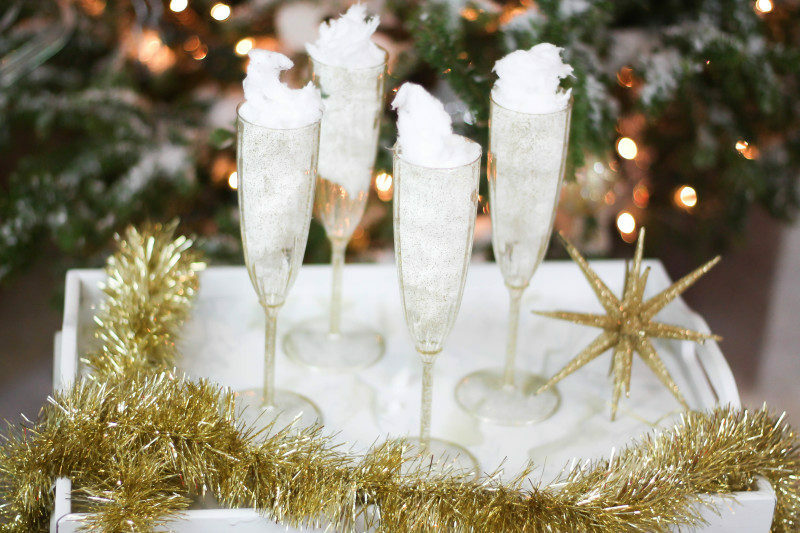 (PS: these plastic glitter champagne flutes are $4 for a set of 4!) 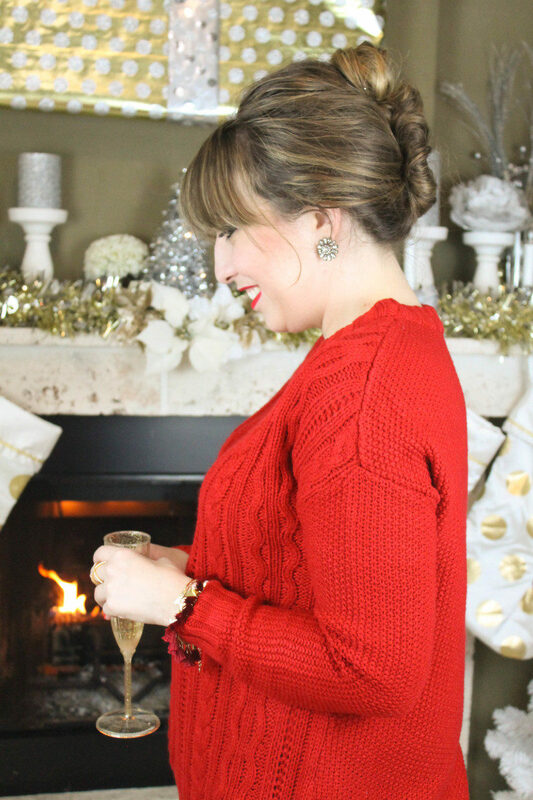 The holiday look I’m all about right now is a cozy red sweater, a chic updo, a stunning statement stud and, obviously, a red lip. 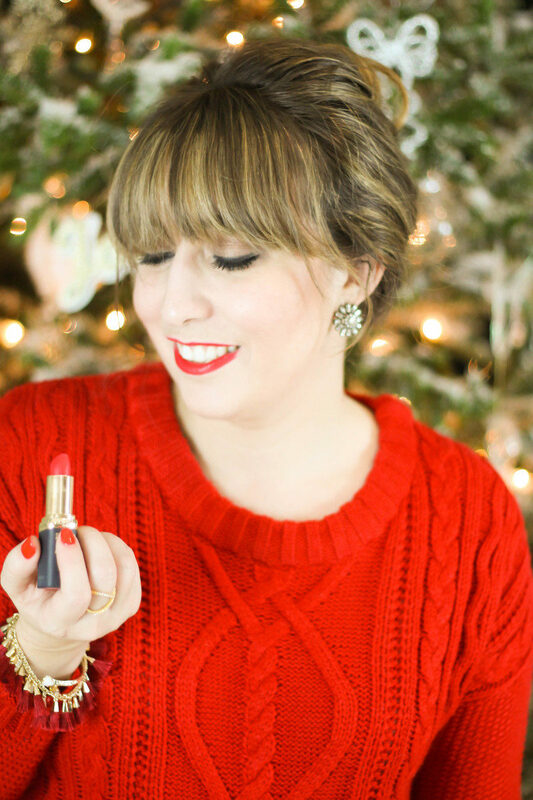 You know that a red lip is ALWAYS my go-to, and over the holiday season, all the more! 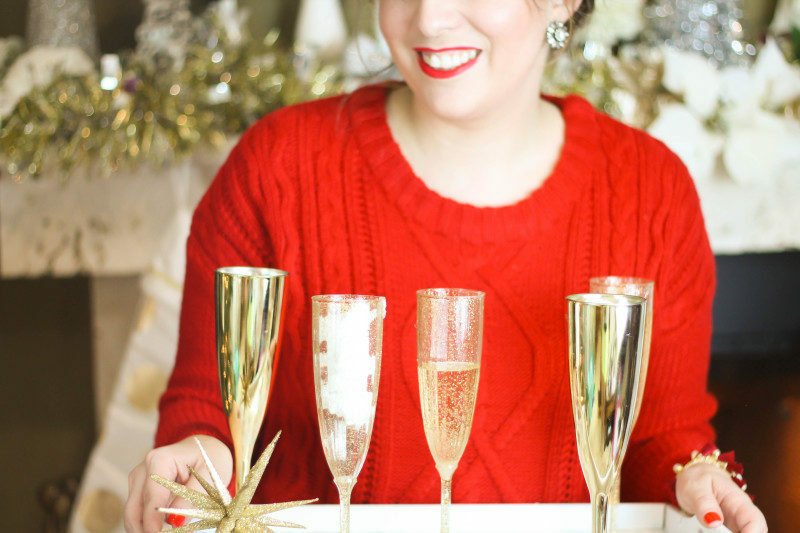 Hope you enjoyed this post about my holiday entertaining style! 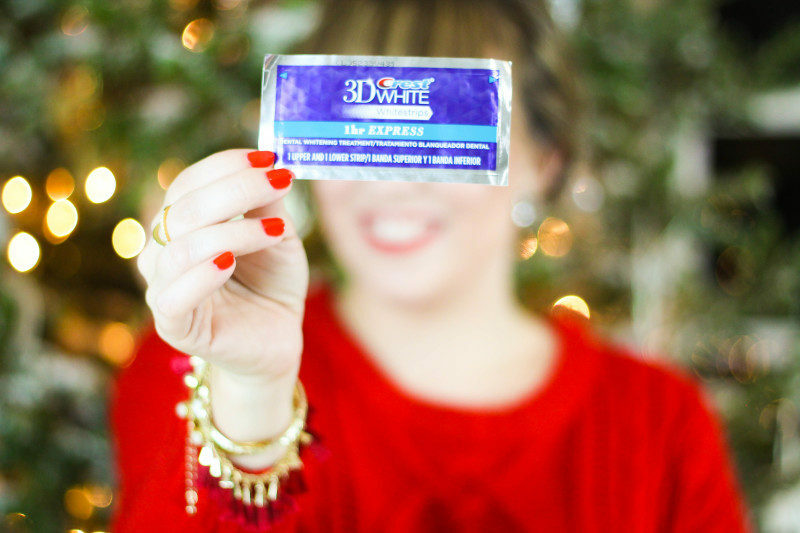 I’d love to hear how you multi-task over the holiday season! Tell me in the comments. This post is sponsored by Acorn Influence. All opinions are, as always, my own. Thank you for supporting the brands that support A Sparkle Factor.